Thurcroft is a village that I became aware of from a very young age. My Aunty Jill had a boyfriend called Ken, he used to spend a fair bit of time at my Grandparents house. We were told Ken was from Rotherham, but the reality was that he was from just outside the town, in a small pit village that sat on the edges of the M18. I never went to the Top Club, I was too young, but we did get taken to Thurcroft once, and being a shy sort of kid I seem to remember spending most of that Sunday afternoon clinging onto Jill in complete terror of all of those grown ups speaking with a funny accent . It was some years later, probably around one Christmas when Ken (they were married by now!) and I were talking over a few beers. I asked him about his formative years living in Thurcroft, and of course the scrapes they got into. The Top Club was high on the agenda, and like a fair few of the local youths at the time he had many a good scrap on a Saturday night, and on more than one occasion he had to serve a ban that had been imposed on him by the committee! That's My Uncle Ken Screwed Then! As families grow, and generations depart, ties to places are not what they once were, and I suspect these days Ken never goes to Thurcroft any more, he has no reason to I suppose, but that’s not to say it isn’t a place he thinks back on fondly. I mean, where else could you get a Gordon Bennett Memorial Hall? Readers may recall I had an aborted trip to Thurcroft before Christmas, a picky referee wasn’t happy with the playing surface being too hard, but on a day when the weather was not an issue, it was time to try and go and have a look at them again. Thurcroft Miners Institute joined the County Senior League at the start of the current season, taking up residence at the impressive Thurcroft Hub, which is a very short walk from the village centre. 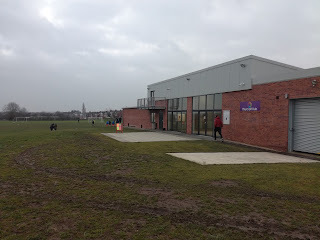 The Hub is actually situated adjacent to what was the old Thurcroft Main Colliery. The remains of the colliery are long gone, landscaped and replaced in a small part by housing, while the entrance to Osbert Drive is right opposite the Hub. The Hub is a large building with various dressing rooms, a large sports hall, a bar and a cafeteria area. It does look very smart and serves the football teams and indeed cricket teams that use the large expanse of sports pitches. I was early though, I got to the ground to check all was ok, it was, so in turn I doubled back and parked up at the Top Club. 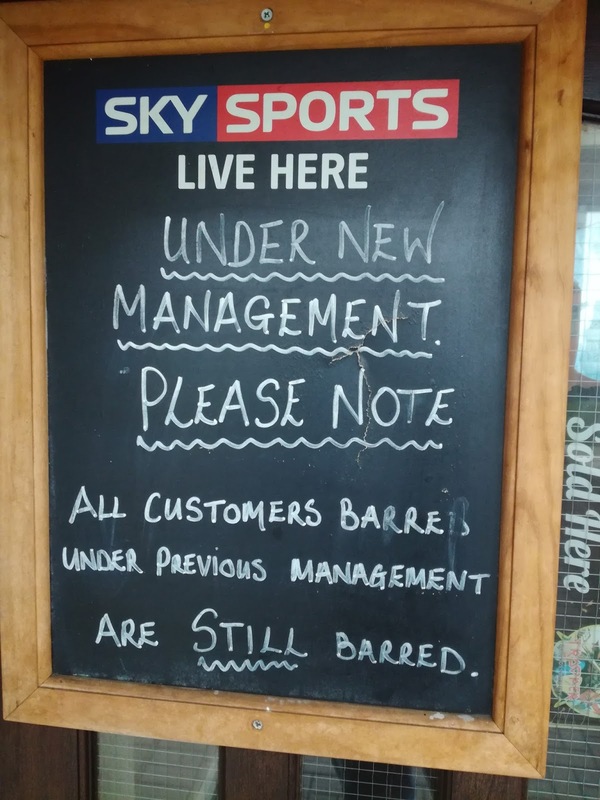 The first thing that struck me as I approached the door, was a sign – ‘Under New Management’, nothing unusual in that I guess, but then underneath it said ‘All Customers Barred Under Previous Management Are Still Barred’. Chuckling to myself, I got a pint, found a quiet area of the bar, made sure I wasn’t sat in anyone’s seat (alive or dead), and sent a text to Jill to enquire whether under the terms of the notice, Ken would be allowed in? It appears he may not be! The Top Club was quite busy, the football was on, and the menfolk (plus one woman) were all settled down for the afternoon. 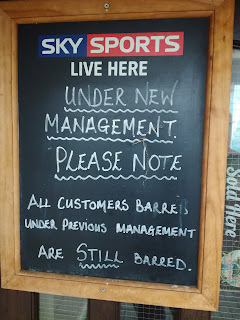 I love pubs and clubs in pit villages, they are usually pretty smart places, the beer is cheap, and the locals, not only are they generally welcoming, they are absolutely hilarious. I’ve been sat on many occasions biting my lip trying not to laugh at some of the stories and banter you overhear in a Miners Welfare! So that was the Top Club ticked off, and with no banning order slapped on me for one of the various offences that can lead to such a punishment (I didn’t take drugs / sell drugs / fight with anyone / abuse the staff), it was time to wander back to the Hub. A healthy gathering of locals had pitched up to watch to the game, complete with crates of lager, although the bar was open? Anyway, Thurcroft have struggled, bottom of the league with just one win to their name, while visiting Wonders from Barnsley were sat in a mid-table position. 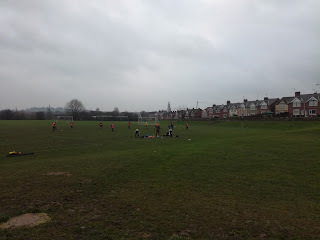 It turned into another bad day on the field, 3-0 down at half time and having had their goalkeeper sent off for bringing an attacker down when through on goal, it was going to be a long afternoon. 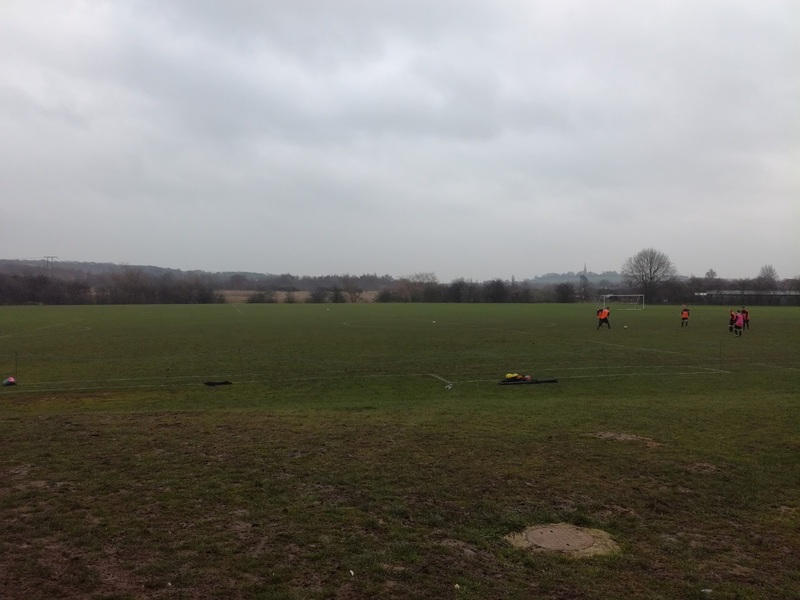 Two more goals followed as Wonders cantered to an easy victory, Thurcroft huffed and puffed but they just didn’t have the quality to make any inroads in the game. They do seem a progressive club though, the facility is excellent, and they aren’t short of wiling helpers on matchday, all clad in club coats and hats. They have a Sunday side and also some Junior teams, so maybe they just need to find their feet in the slightly different world that is Saturday football. If nearby Maltby, Dinnington and Kiveton Park can all sustain teams at a good level, then I see no reason why the same cannot be said for Thurcroft. A few more trips back wouldn’t go amiss, maybe I could take Ken and he could re-live his youth, I shouldn’t imagine it would be too hard to get another ban from the Top Club, not if you put your mind to it!